Wesleyan University, Middletown, CT, 1980. Cornell University Medical College, New York, NY, 1984. My primary research focus has been on pediatric cancer drug development, specifically early phase clinical trials and clinical pharmacologic studies. In January of 2011 I became Chair of the Children’s Oncology Group (COG), a National Cancer Institute supported consortium of more than 220 centers across North America, Australia, New Zealand and parts of Europe, which conducts clinical-translational research including large-scale clinical trials in children with cancer. Previously I served as Chair of the COG’s Developmental Therapeutics Program. 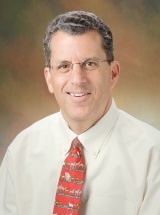 Other key roles that I have served in include Director of the Office for Clinical and Translational Research at The Children’s Hospital of Philadelphia, co-Director of the University of Pennsylvania – CHOP Clinical Translational Science Award (CTSA), Program Director of the General Clinical Research Center (GCRC) and Principal Investigator of its NICHD funded Pediatric Pharmacology Research Unit (PPRU). Our laboratory focuses on the clinical pharmacology of new drugs for childhood cancer using an integrated approach that incorporates preclinical studies in both in vitro and animal models, and clinical trials with clinical pharmacokinetic-pharmacodynamic-pharmacogenetic studies in pediatric patients. Vassal, G., Zwaan, C. M., Ashley, D., Le Deley, M. C., Hargrave, D., Blanc, P., Adamson, P. C.: New drugs for children and adolescents with cancer: the need for novel development pathways. Lancet Oncol 14(3): e117-24, 2013. Mosse, Y. P., Lim, M. S., Voss, S. D., Wilner, K., Ruffner, K., Laliberte, J., Rolland, D., Balis, F. M., Maris, J. M., Weigel, B. J., Ingle, A. M., Ahern, C., Adamson, P. C., Blaney, S. M.: Safety and activity of crizotinib for paediatric patients with refractory solid tumours or anaplastic large-cell lymphoma: a Children''s Oncology Group phase 1 consortium study. Lancet Oncol 14(6): 472-80, 2013. Norris Robin E, Adamson Peter C: Challenges and opportunities in childhood cancer drug development. Nature reviews. Cancer 12(11): 776-82, Nov 2012. Glade Bender Julia, Blaney Susan M, Borinstein Scott, Reid Joel M, Baruchel Sylvain, Ahern Charlotte, Ingle Ashish M, Yamashiro Darrell J, Chen Alice, Weigel Brenda, Adamson Peter C, Park Julie R: A phase I trial and pharmacokinetic study of aflibercept (VEGF Trap) in children with refractory solid tumors: a children's oncology group phase I consortium report. Clinical cancer research : an official journal of the American Association for Cancer Research 18(18): 5081-9, Sep 2012. Aplenc Richard, Blaney Susan M, Strauss Lewis C, Balis Frank M, Shusterman Suzanne, Ingle Ashish Mark, Agrawal Shruti, Sun Junfeng, Wright John J, Adamson Peter C: Pediatric phase I trial and pharmacokinetic study of dasatinib: a report from the children's oncology group phase I consortium. Journal of clinical oncology : official journal of the American Society of Clinical Oncology 29(7): 839-44, Mar 2011. Glauser Tracy A, Cnaan Avital, Shinnar Shlomo, Hirtz Deborah G, Dlugos Dennis, Masur David, Clark Peggy O, Capparelli Edmund V, Adamson Peter C, : Ethosuximide, valproic acid, and lamotrigine in childhood absence epilepsy. The New England journal of medicine 362(9): 790-9, Mar 2010. Widemann Brigitte C, Balis Frank M, Kim AeRang, Boron Matthew, Jayaprakash Nalini, Shalabi Aiman, O'Brien Michelle, Eby Michelle, Cole Diane E, Murphy Robert F, Fox Elizabeth, Ivy Percy, Adamson Peter C: Glucarpidase, leucovorin, and thymidine for high-dose methotrexate-induced renal dysfunction: clinical and pharmacologic factors affecting outcome. Journal of clinical oncology : official journal of the American Society of Clinical Oncology 28(25): 3979-86, Sep 2010. Jakacki Regina I, Hamilton Marta, Gilbertson Richard J, Blaney Susan M, Tersak Jean, Krailo Mark D, Ingle Ashish M, Voss Stephan D, Dancey Janet E, Adamson Peter C: Pediatric phase I and pharmacokinetic study of erlotinib followed by the combination of erlotinib and temozolomide: a Children's Oncology Group Phase I Consortium Study. Journal of clinical oncology : official journal of the American Society of Clinical Oncology 26(30): 4921-7, Oct 2008. Skolnik Jeffrey M, Barrett Jeffrey S, Jayaraman Bhuvana, Patel Dimple, Adamson Peter C: Shortening the timeline of pediatric phase I trials: the rolling six design. Journal of clinical oncology : official journal of the American Society of Clinical Oncology 26(2): 190-5, Jan 2008. Fox Elizabeth, Razzouk Bassem I, Widemann Brigitte C, Xiao Shaun, O'Brien Michelle, Goodspeed Wendy, Reaman Gregory H, Blaney Susan M, Murgo Anthony J, Balis Frank M, Adamson Peter C: Phase 1 trial and pharmacokinetic study of arsenic trioxide in children and adolescents with refractory or relapsed acute leukemia, including acute promyelocytic leukemia or lymphoma. Blood 111(2): 566-73, Jan 2008.